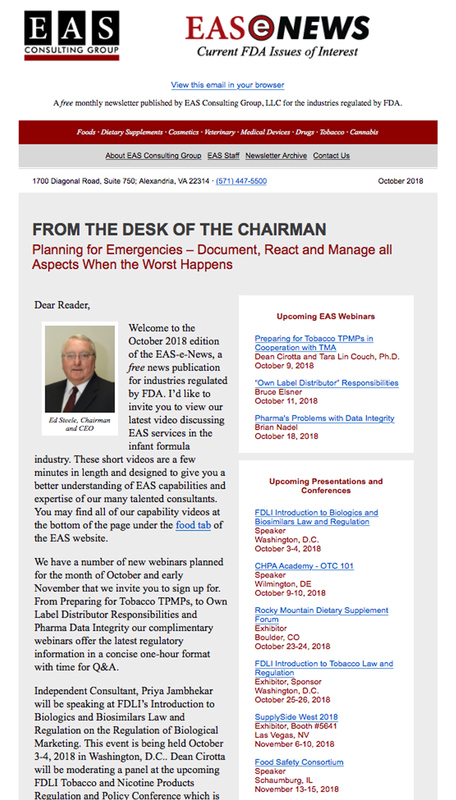 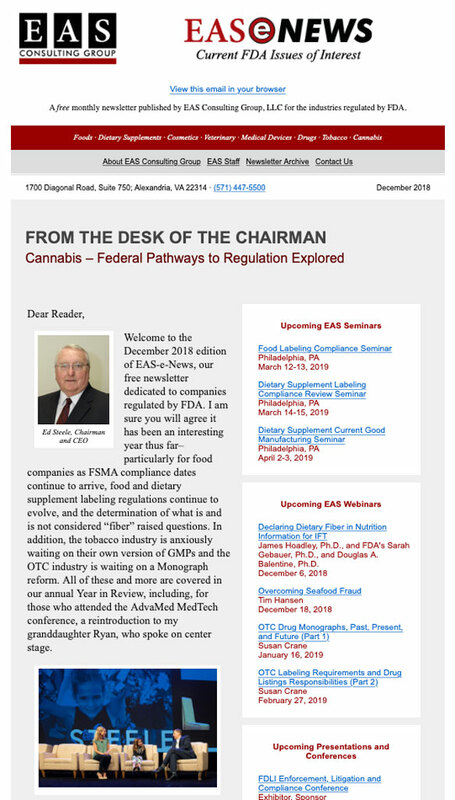 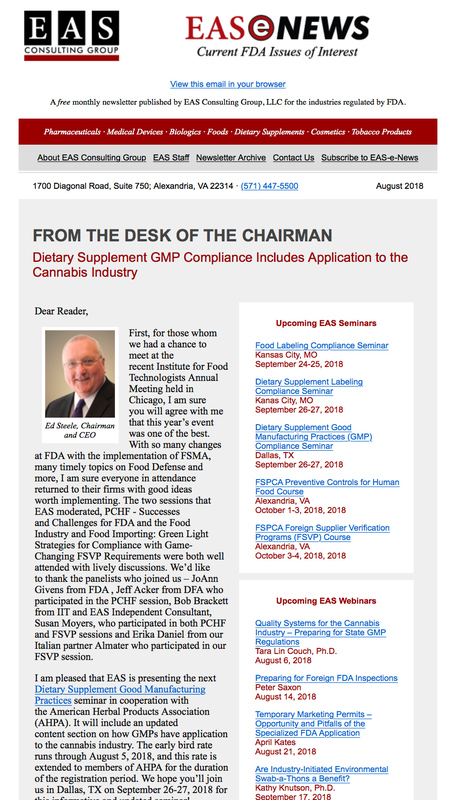 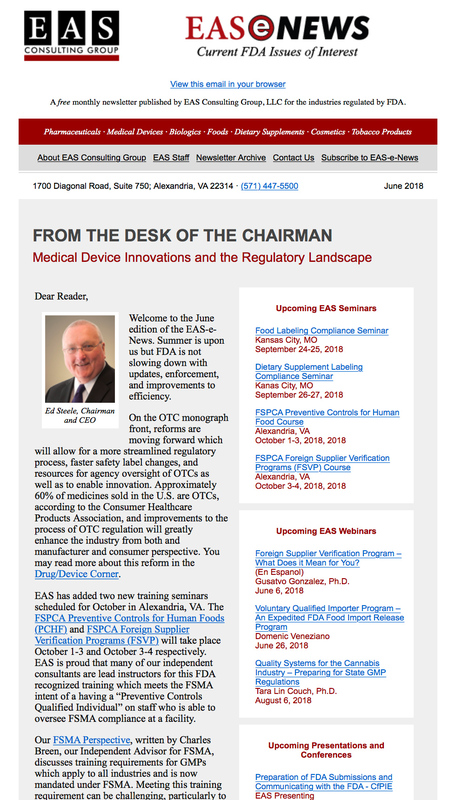 EASeNews is a well-respected industry publication, produced by EAS Consulting Group, featuring articles and timely updates for the regulated industries that EAS serves. 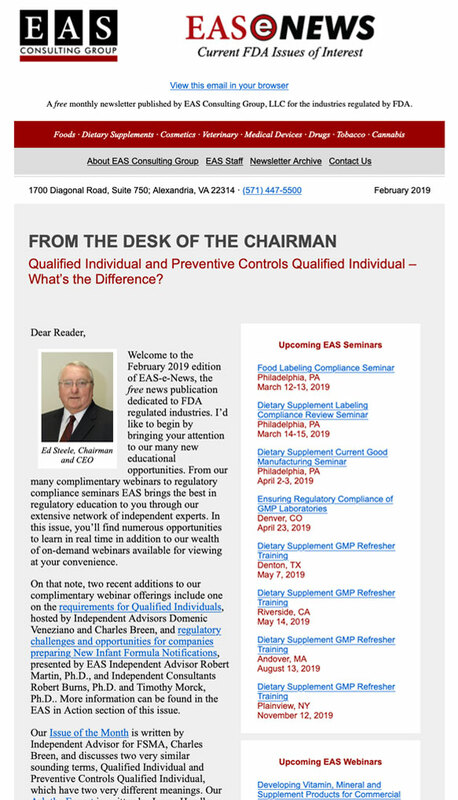 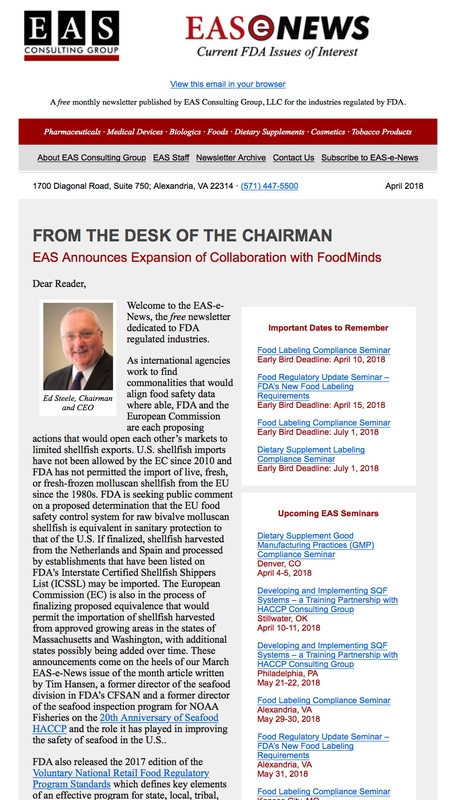 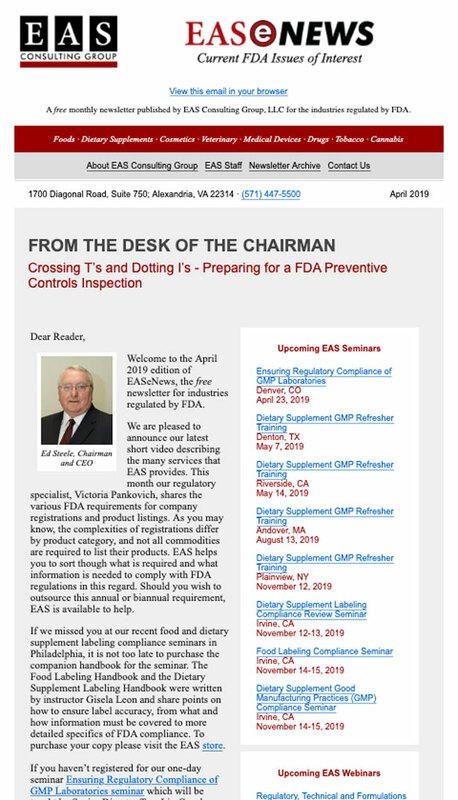 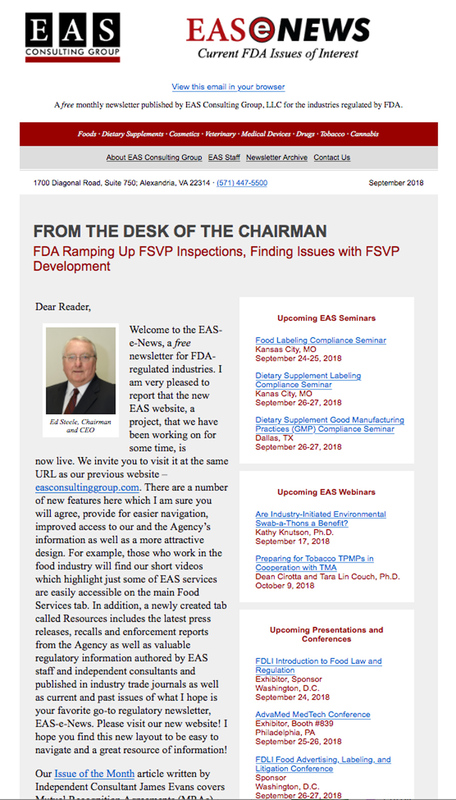 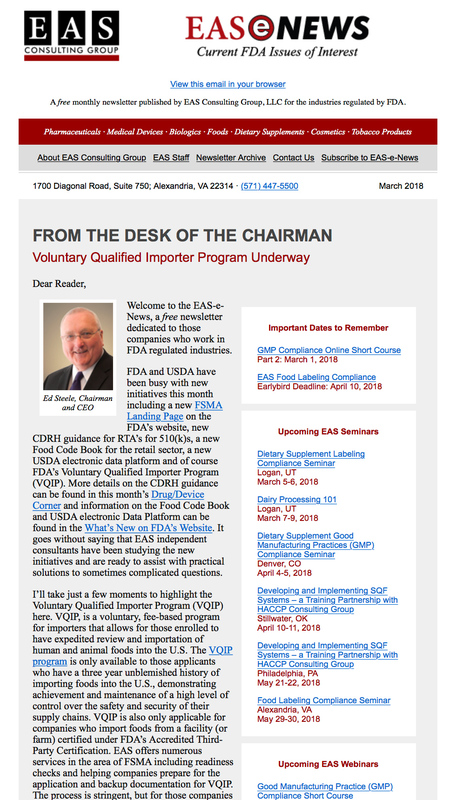 EASeNews features the expertise of our Independent Consultants, and in turn, the expertise of EAS, as a leading provider of regulatory guidance, auditing expertise, training and more to FDA and USDA regulated industries. 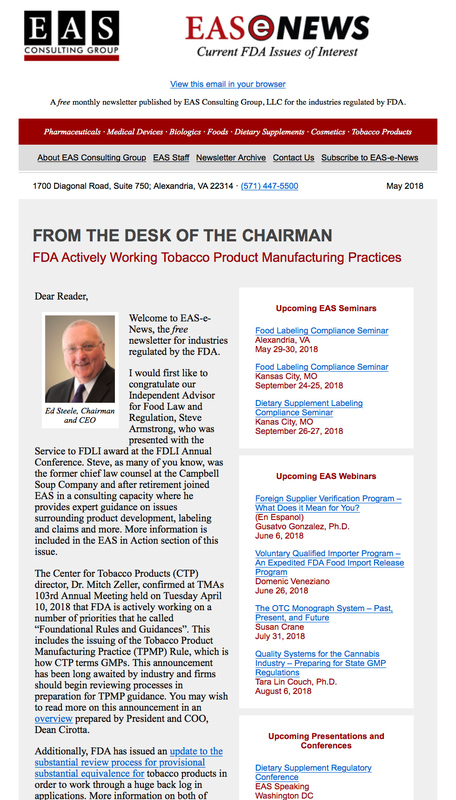 Want to receive our newsletter delivered into your inbox each month? 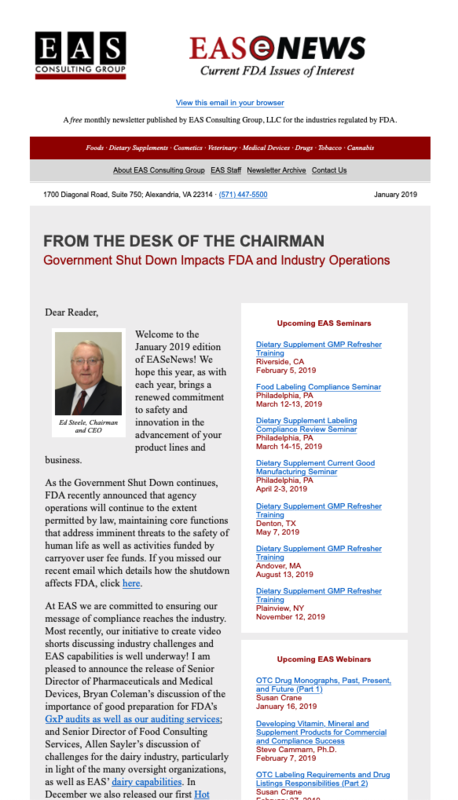 Visit our Contact Us page.